If government wants to force you to say something you would not otherwise express, it must have a very good reason for doing so. This bedrock First Amendment principle applies to individuals and business enterprises alike. In July, the U.S. Court of Appeals for the D.C. Circuit—arguably the nation’s second most important federal court—carved away at this principle and the constitutional protection it provides. Below, we discuss how that court allowed a federal agency to repeatedly change its declared reason for compelling speech and in an en banc panel opinion improperly eased government’s burden to prove a substantial governmental interest. 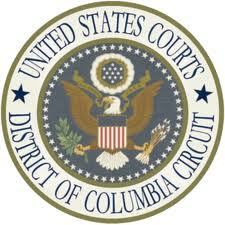 District Court Challenge. The compelled speech at issue in American Meat Institute (AMI) v. USDA is a country of origin label (“COOL”) recording the place of birth, residence, and slaughter of the animal from which each cut of meat taken. In the proposed rule’s Statement of Benefits and Costs, USDA asserted the mandate was justified because “certain U.S. consumers valued the designation.” AMI argued in its public comments that this interest was neither governmental nor substantial. USDA responded in the final rule with a stunning tautology: our interest is substantial and governmental because Congress empowered us to impose the COOL mandate. When AMI sued to enjoin COOL on July 25, 2013, the agency again shifted focus, advancing a new justification that never appeared in the administrative record: “correct misleading speech and prevent consumer deception.” The federal district court bought USDA’s made-for-litigation governmental interest while denying AMI’s motion. In permitting this new justification, Judge Jackson ignored a 1947 Supreme Court precedent, SEC v. Chenery Corp. That decision holds that when judging the propriety of agency action, courts are limited to what is in the administrative record. D.C. Circuit Panel. In its appellate brief, the government made the remarkable argument that it could compel factual statements if the mandate advanced “an identified governmental interest.” Because USDA had identified an interest, it argued, COOL did not implicate “any significant First Amendment” concerns. In an opinion breathtaking for both its brevity (15 pages) and reach, the panel on March 28 found (contrary to 30 years of Supreme Court case law) that government can easily overcome First Amendment challenge when it compels “commercial” speech for reasons other than preventing or correcting deception. The court embraced USDA’s “any governmental interest” standard, finding that “satisfying consumers’ curiosity” was sufficiently non-“trivial.” The panel then added some of its own governmental interests. These included interests that USDA had explicitly rejected in its COOL rulemaking: patriotism, protectionism, and consumers’ concern that meats from overseas are less safe. The majority at least acknowledged Chenery, but slapped it away with scant analysis. Judge Brown excoriated the en banc panel for refusing to follow Chenery and for the “post hoc rationalizations” that ensued. Tilting the Scales. The en banc American Meat Institute decision could, as Judge Brown put it, “bust the mainspring of commercial speech jurisprudence.” The “substantial governmental interest” inquiry is outcome-determinative in First Amendment cases. If government cannot meet its burden, the regulation will not be upheld. The en banc panel’s decision substantially eases government’s burden and severely complicates business plaintiffs’ ability to counter government’s arguments. One of the principles underlying the Supreme Court’s Chenery decision was fair notice: plaintiffs should not have to search outside the administrative record to anticipate every possible justification government might offer during a legal challenge or a judge may conceive of in her decision. USDA had a good reason not to claim protectionism or meat safety as governmental interests: doing so would undermine the defense of COOL at an international tribunal that was judging its legality under world trade rules. But that is no reason for the D.C. Circuit, in a First Amendment case, to step in and make the government’s arguments for it. The en banc panel eased government’s burden further by cobbling together a number of lesser interests, none of which were likely “substantial” on their own, to find a substantial interest. The panel seemed to agree that the sole interest advanced in COOL’s administrative record—the curiosity of some consumers—was not substantial. But how substantial was that interest, in comparison with the other interests the court discovered, and how substantial were those others? If government has a long history of requiring country-of-origin, how substantial is that? How about trade protectionism? First Amendment plaintiffs should not have to do this kind of new math. As we will discuss in future commentaries here, American Meat Institute deepens the split among lower federal courts on how much First Amendment protection businesses receive when government mandates their speech. A rehearing request is pending in another compelled speech case in the D.C. Circuit, NAM v. SEC (the so-called conflict minerals case). Several petitions are pending before the Supreme Court on these issues, most prominently Anthem Prescription Management. v. Beeman. With local, state, and federal regulators increasingly commandeering businesses to advance their policy agendas, the disappointing en banc ruling in American Meat Institute could not have come at a worse time.